For the renovation of Terminal 3 at San Francisco’s International Airport, the boarding areas had challenging low ceilings from the original 1979 design that were not welcomed by its new tenant, United Airlines. 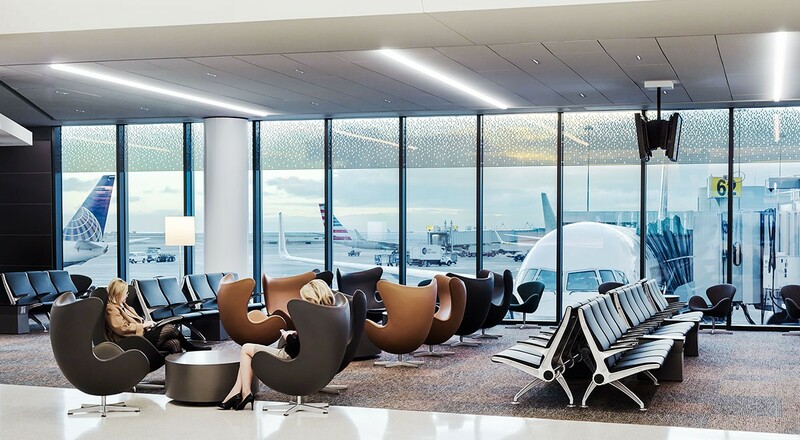 Gensler stepped in to make the space light, spacious, and a place that encouraged travelers to linger a bit. 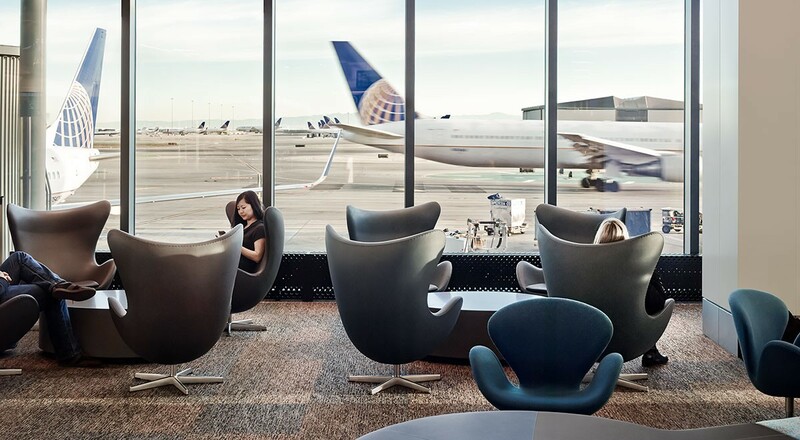 Arne Jacobsen Egg chairs and Swan lounges evoke the smooth curves of airliners and are upholstered in durable Acqua leather to help passengers pass the time, comfortably. Acqua features a water resistant finish that is practical for applications requiring high durability, making the chairs not only beautiful but high-performing in an extremely high-traffic transportation building. For more information on the product featured, please visit Acqua (AU).